Was it heat stroke or poison? 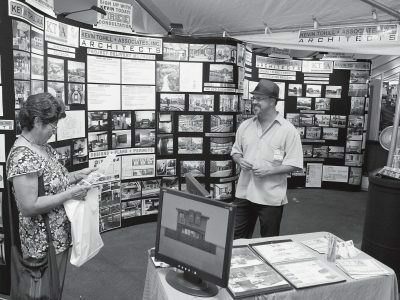 DESIGN ON DISPLAY—Architect Kevin Tohill greets a prospective client during the 35th Conejo Valley Home Remodeling Show sponsored by Wells Fargo Home Mortgage on Sun., Sept. 9. Left, Alex Yudkevich discusses a walk-in bath with Nora Domingo who stopped by the California Energy Contractors booth during the show.